Banjoïste et chanteur Bluegrass US né Donald Wesley Reno le 21 Février 1927 à Buffalo (Caroline du Sud). Don Reno est décédé le 16 Octobre 1984. Virtually unrivalled among his contemporaries for his mastery of the five-string banjo, Don Reno teamed with Red Smiley to create some of the finest bluegrass recordings of the postwar era -- a superb tenor vocalist and songwriter, Reno also proved crucial to the emergence of the guitar as one of bluegrass' lead instruments, and ranks alongside the likes of Bill Monroe among the genre's true pioneers. Reno was born in Spartanburg, SC, on February 21, 1926, and raised primarily in rural North Carolina; at age five he built his first banjo, and as a teen backed the Morris Brothers and Arthur "Guitar Boogie" Smith. He also recorded with Woody Guthrie and was asked to join Monroe's Blue Grass Boys before serving in the military from 1944 to 1946. 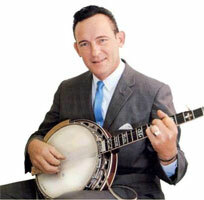 Upon returning from duty Reno fronted a local South Carolina band before replacing Earl Scruggs in the Blue Grass Boys, where like his predecessor he was key in popularizing the three-finger roll technique of banjo playing. Reno left Monroe in 1949 to join Tommy Magness and His Tennessee Buddies; among his bandmates was guitarist Smiley, and while cutting a 1951 session with Magness for King Records subsidiary Federal, label owner Syd Nathan was so impressed by Reno and Smiley's interplay that he soon arranged for the duo to record under their own names. 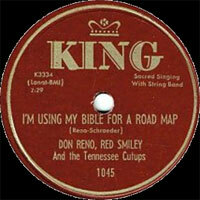 A marathon 16-song studio date the following January launched their career as headliners, with the Reno-penned hit "I'm Using My Bible for a Road Map" proving so successful it reportedly pulled King Records back from the brink of bankruptcy. 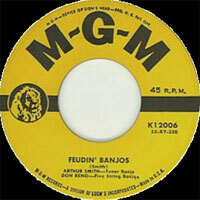 Despite the popularity of their records, the duo proved unable to keep together their touring band, the Tennessee Cut-Ups, so in between sessions for King they worked independently, which allowed Reno to reunite with Smith; together they recorded the classic 1955 instrumental "Feuding Banjos," which was later retitled "Dueling Banjos" for its unauthorized use in the 1972 film Deliverance. 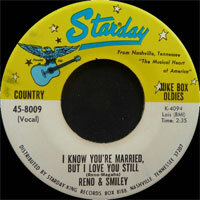 In May of 1955 Reno and Smiley organized the definitive lineup of the Tennessee Cut-Ups, including fiddler Mack Magaha and bassist John Palmer; a regular gig at Richmond, VA, station WRVA's Old Dominion Barn Dance finally afforded the group the opportunity to continue full-time, and over the next nine years they recorded a series of influential sides for King including "I Know You're Married," "Don't Let Your Sweet Love Die," and "Please Remember That I Love You." At the peak of their popularity, the duo also hosted Top of the Morning, a hit daily television show which ran for some seven years. 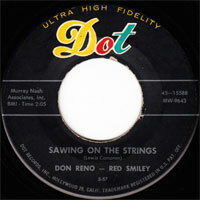 However, in 1964 diabetes forced Smiley to retire from the road, and in late 1966 Reno began a new partnership with singer/multi-instrumentalist Bill Harrell which continued for a decade, a period which coincided with a resurgence in public interest in bluegrass as a result of a growing festival circuit. 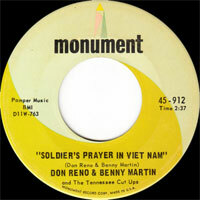 A much briefer liaison with fiddler Benny Martin also launched the country chart hit "A Soldier's Prayer in Vietnam." During the early '70s Reno and Harrell recorded a series of LPs for labels including Monument, Dot, and CMH; on occasion Smiley returned to the fold as well, making his final live appearance just months before his death on January 2, 1972. After Reno and Harrell went their separate ways in autumn 1976, the former settled in Lynchburg, VA, where he began performing alongside sons Don, Wayne, Dale, and Ronnie; in 1979, he also again re-teamed with Smith for the album Arthur Smith and Don Reno Feudin' Again. 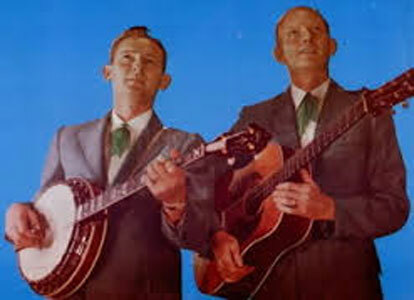 Reno died October 16, 1984; his sons later recorded as the Reno Brothers. 05/1951 SP FEDERAL 45-10015 (US) . 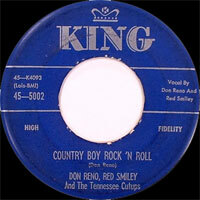 12/1956 78 t. KING 5002 (US) . 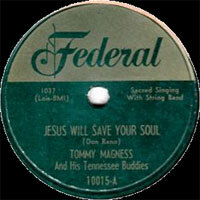 10/1957 78 t. DOT 15649 (US) . Don RENO - Red SMILEY - Cotton-Eyed Joe / Where Did Our Young Years Go? 10/1957 SP DOT 45-15649 (US) . Don RENO - Red SMILEY - Cotton-Eyed Joe / Where Did Our Young Years Go? 09/1961 SP KING 45-5537 (US) . 197? EP 33t. 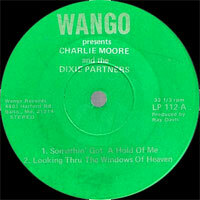 WANGO LP 112 (US) . FASTEST FIVE STRINGS ALIVE - Remington Ride / World Is Waiting For The Sunrise / Washington And Lee Swing / Double Banjo Blues / Tennessee Cutup Breakdown / Double Eagle / Interstate 81 / My Old Kentucky Home / Choking The Strings / When You And I Were Young Maggie / Road Runner / Banjo Riff. 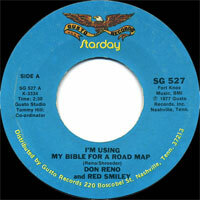 1969 LP 12" KING KLPS-1068 (US) I'M USING MY BIBLE LIKE A ROADMAP - Don RENO & Bill HARRELL - I'm Using My Bible For A Roadmap / My Redeemer Lives Again / My God's Highway / Pretty Wreath For Mother's Grave / For The Bible Tells Me So / When They Crucified Jesus / I Want To Be A Christian Soldier / Anchored In Jesus / Night I Got Saved / Oak Grove Church / Another Daddy Gone Wrong / If I Never Wake Again (I'll Be In Glory Land). 08/1994 CD HOLLYWOOD 227 (US) FASTEST FIVE STRINGS ALIVE - Don RENO - Remington Ride / World Is Waiting For The Sunrise / Washington And Lee Swing / Double Banjo Blues / Tennessee Cutup Breakdown / Double Eagle / Interstate 81 / My Old Kentucky Home / Choking The Strings / When You And I Were Young Maggie / Road Runner / Banjo Riff.